As we look forward to 2018, a lot of new contractors began working in 2017. With the advent of Uber, UpWork, Fiverr and Lyft, contractors are everywhere and the chances for taxation missteps are, too. If you sought to fill in some income gaps last year as a contractor, chances are, you’ll get a 1099 from that employer and if you aren’t careful, a tax problem you didn’t anticipate. Here’s what you need to know if you’re going to try to do it yourself, but of course, as a tax professional, I’d rather you give me a call and take advantage of my free initial consultation! When you work as an employee, your employer will file Form W2, Wage and Tax Statement with the IRS by January 31 and provide you a copy at the same time. As a contractor, though, you’ll receive a Form 1099 that will state all payments made from the company to you or your company. Reconciling these two forms is where the trouble usually starts. The W2 form will show your total taxable compensation for the prior year and the total tax withheld from your pay and sent to the IRS. This includes withholding of income tax and Social Security and Medicare taxes. Your employer was also required to pay half of your Social Security and Medicare taxes out of its own pocket. You must list your total taxable employee compensation on the first page of your Form 1040. To that number, you’ll likely be adding any other taxable income you had for the year to figure how much tax you must pay. You must also include a copy of your W2 with your return. What about deductions arising from your employment? Many employees don’t have any. But you may be able to deduct job-related expenses you paid out of your own pocket. This could include work-related travel, transportation, meal, and entertainment expenses. If your employer doesn’t reimburse you these expenses, you can deduct them. You can do this as a personal itemized deduction on IRS Schedule A, Itemized Deductions. This requires that you itemize your personal deductions on IRS Schedule A, instead of taking the standard deduction. Unreimbursed job expenses are deductible only if, and to the extent that, they exceed 2% of your adjusted gross income. You can combine these expenses with your other miscellaneous deductions to get to the 2% figure. For example, if your AGI is $100,000, you’d only be able to deduct your employee expenses that exceed $2,000. If you had $4,000 in such expenses, you could only deduct $2,000 on Schedule A. When you work as an independent contractor, any hiring firm that paid you a total of $600 or more during the year is required to file a 1099-MISC form with the IRS listing the total amount of such payments. 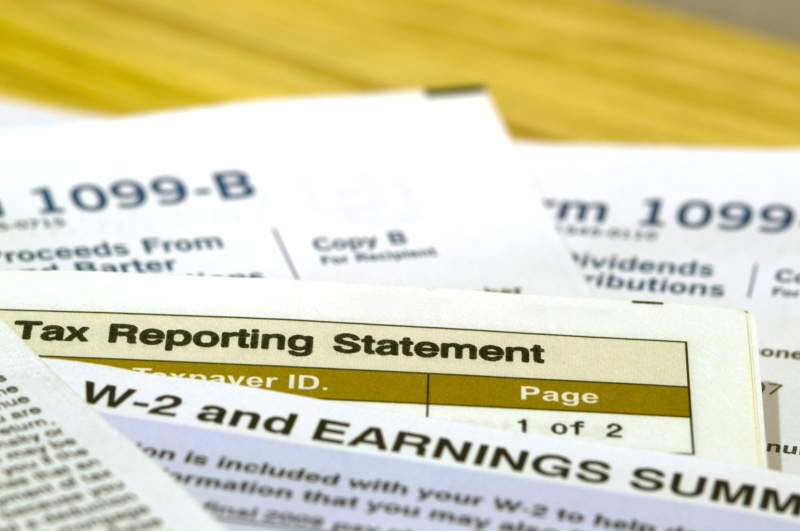 You need not attach copies of your 1099s to your tax return. Just make sure you report all the income shown on your 1099s; if you don’t, you’ll likely hear from the IRS. Independent contractors typically work as sole proprietors. When you’re a sole proprietor, you and your business are one and the same for tax purposes. You list the profit you earn or losses you incur on the first page of IRS Form 1040. If you earn a profit, the money is added to your employee income and any other income you have. Interest income or your spouse’s income if you’re married and file a joint tax return also count toward the total taxable amount. If you incur a loss, subtract it from your other income and it will reduce your taxes for the year. To show whether you have a profit or loss from your sole proprietorship, you must file IRS Schedule C, Profit or Loss From Business, with your tax return. On this form, you list all your business income and deductible expenses. You subtract your total expenses from your income to determine if you earned a profit or had a loss. business travel, meals and entertainment. When you work as a 1099 independent contractor no income, Social Security or Medicare taxes are withheld from your compensation by the firms that hire you. You’re supposed to pay estimated taxes to the IRS four times a year to prepay these taxes. 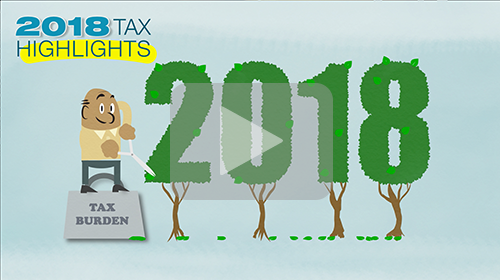 If you don’t pay enough estimated tax during the year, you may have a large tax bill due with your annual return. You must file IRS Schedule SE, Self-Employment Tax, to calculate and report your Social Security and Medicare taxes and these must be paid along with your income taxes. If your employee wages exceeded the annual Social Security tax limit ($118,500 in 2016), you won’t have to pay any Social Security tax on your 1099 income, but you’ll still be responsible for the Medicare tax on all your employee and 1099 self-employment income, no matter how high. In the end, it’s not impossible to do it yourself, but if you are working two jobs – and we’ve arrived at that, since you have two different tax forms, then it’s a smart idea to seek out professional advice from a professional – not only will you save money, you’ve also save valuable time in sorting out what your financial responsibilities are. Give me and the team a call and let’s get this done!